I first saw Guy Hills on a TV programme about Harris tweed, or was it about Savile Row? Not sure now. Maybe both. Anyway, he was brilliant and the company he runs with weaver Kirsty McDougall, Dashing Tweeds, is brilliant too. Incorporating ideas from sportswear and technology, with their fabric range and designs they have given tweed a 21st century refresh without losing any of the inherent qualities of the cloth or diluting its heritage. Their lumatwill has practical applications and is also wonderfully eccentric. 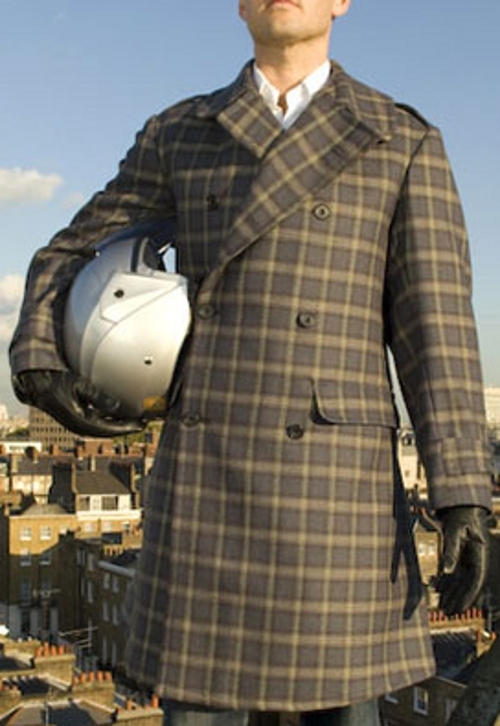 I'm particularly taken with the Scooter Coat for when I'm riding my Pashley Roadster. Based on the Household Cavalry greatcoat and using one of their urban tweeds, it is reflective and water repellent, and can even be fitted with elbow guards. It certainly beats a high-visibility tabard from Halfords.